Some amount of concrete is always wasted during construction. Normally we consider 3- 5 % as wastage while estimating the materials quantity for particular construction work. But more than 3-5% wastage may increase the overall cost of the project and affect the work progress. Hence it is very important to control the concrete wastage at the site during concreting. The wastage of concrete can be reduced by proper planning of pour. Concrete pour card should be prepared before concreting. So we can know the quantity of concrete to be poured before starting concrete mixing. 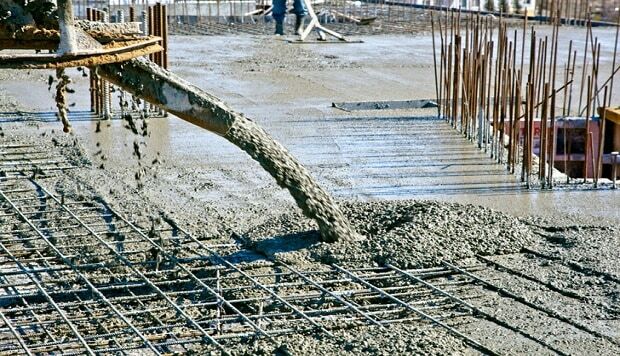 Production of concrete should match with the pouring speed to reduce waiting time and to avoid the setting of concrete before placing in the form. The approximate concrete quantity should be estimated and when the pouring work is near to be completed, do inform the batch plant operator to stop extra concrete supply. During concrete placement, there may be some issues at site which can stop concrete pouring for some times. In such situations, the supervisor should inform the batching plant operator to pause the concrete production and supply. If concrete is produced in excess amount, it can be used elsewhere to avoid extra wastage. So, wastage of concrete can be prevented by proper planning not only before placement but also during placement and site supervisor should be trained well to take care of the site. we learn many thing appreciated your effort.